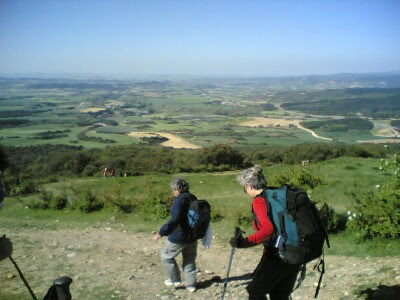 Situated out Pamplona, Sierra del Perdón was a difficult uphill climb. 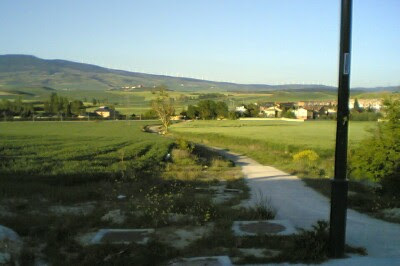 I was however, compensated with a beautiful scenery. At the beginning. 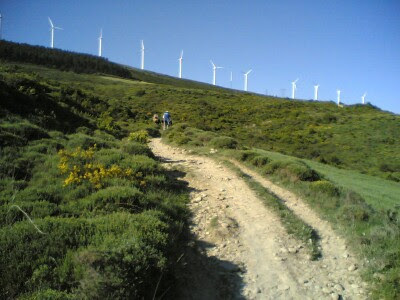 Notice the modern windmills along the hills. 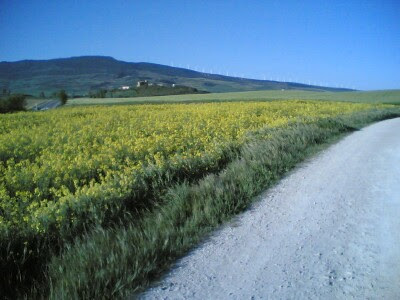 Spring flowers alongside on the way up the hill. 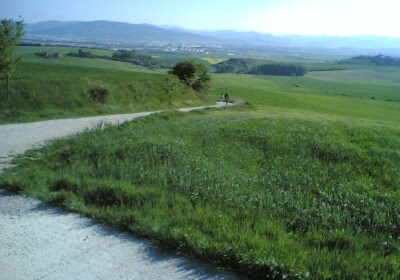 Looking back at Pamplona from the halfway point. 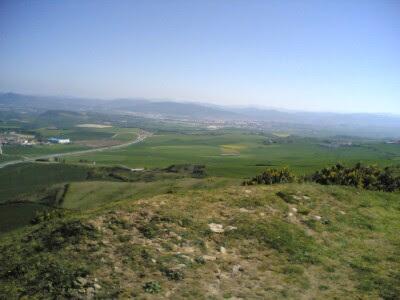 View of Pamplona from the top. 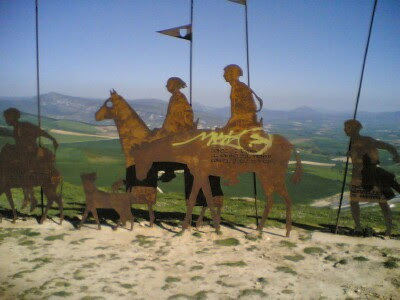 Metal caricature depicting the camino de santiago. 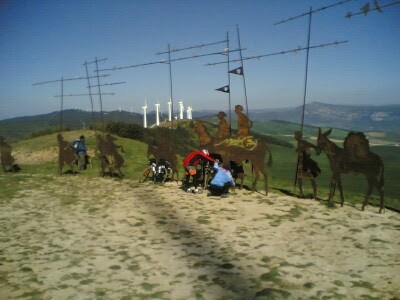 2 peregrinos checking their bikes. 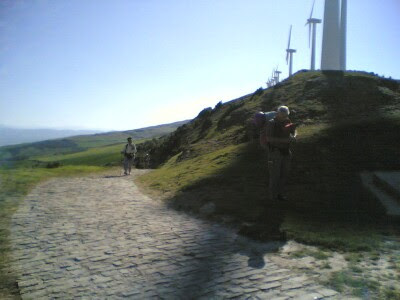 The winds is very strong up here, hence the windmills here. 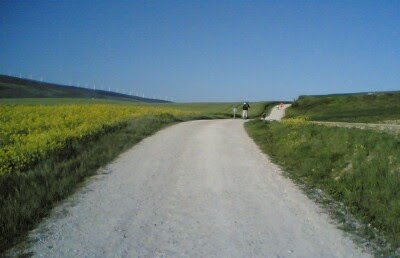 After that, it's a straight and steep downhill. Sierra del Perdón at night. Picture courtesy of Mike, Pat and Connor. 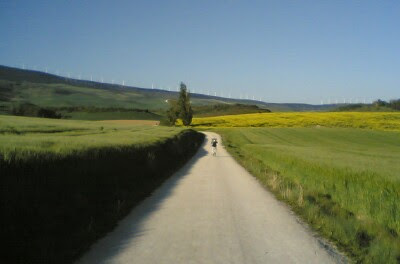 These 3 Irish guys actually walked at night when they couldn't find a place to stay at Pamplona. 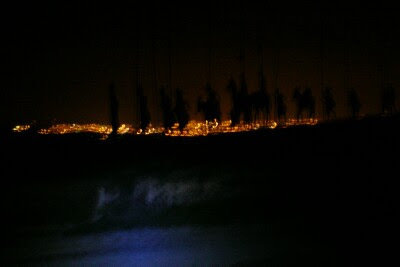 The lights from the city is amazing, and the silhouette scared them initially when they turn back to see the lights.